If Robson can be declared the Ramen corridor, then Kingsway should really be known as the street of Banh Mi. Just drive down the blocks in between 12th and Knight. You'll find Ba Le, Tung Hing, Empress Bakery and Kim Chau among others. So on my ongoing quest to find the best Banh Mi or Vietnamese sub, I stopped in at Kim Chau. It was fairly busy inside and the lady behind the counter asked me what I wanted. I replied, "one of each, except for the vegetarian". Her response was, "we only have #1, we sold out of the others!". Uh... really? How come I see meats galore in the store? That really confused me. Wh atever, I got 3 of the "Specials" to go. 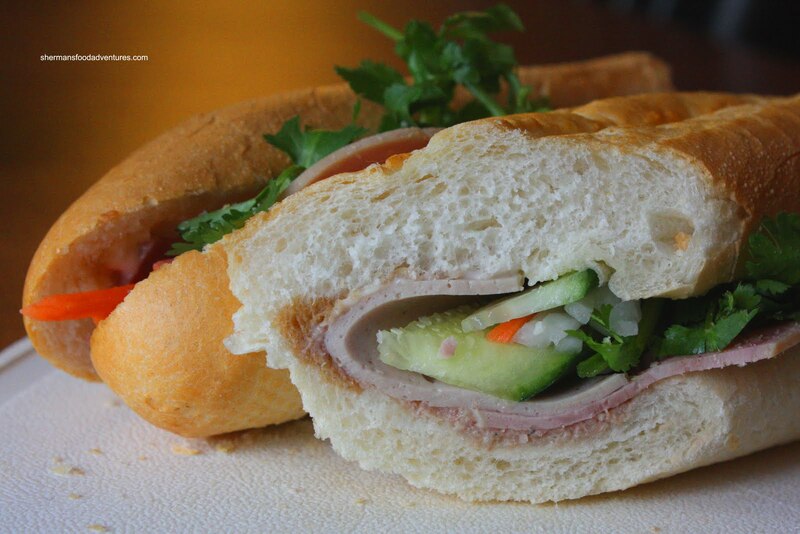 Otherwise known as the Banh Mi đặc biệt, the sub consists of Vietnamese ham, headcheese, pate, pickled veggies, cilantro, hot peppers, butter mayo and fish sauce on a crusty baguette. 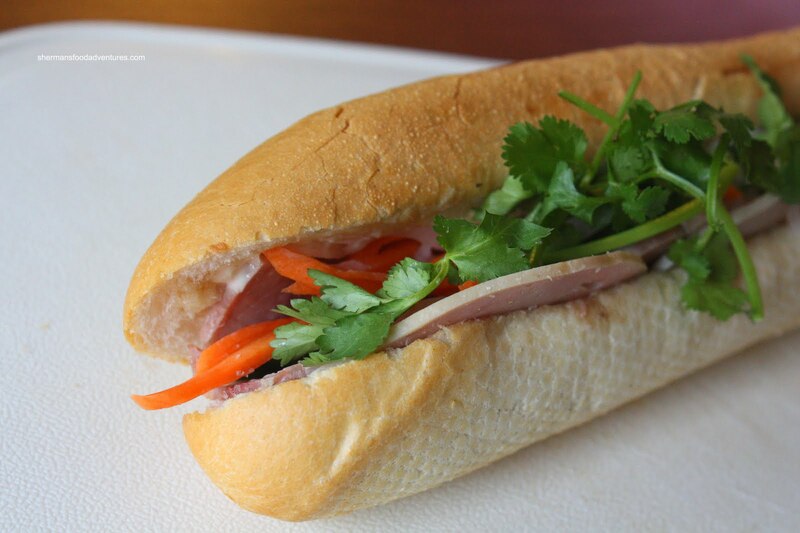 I have to say right now that for $3.00, the Special Banh Mi at Kim Chau is one of the best values I've seen to date in the GVRD. 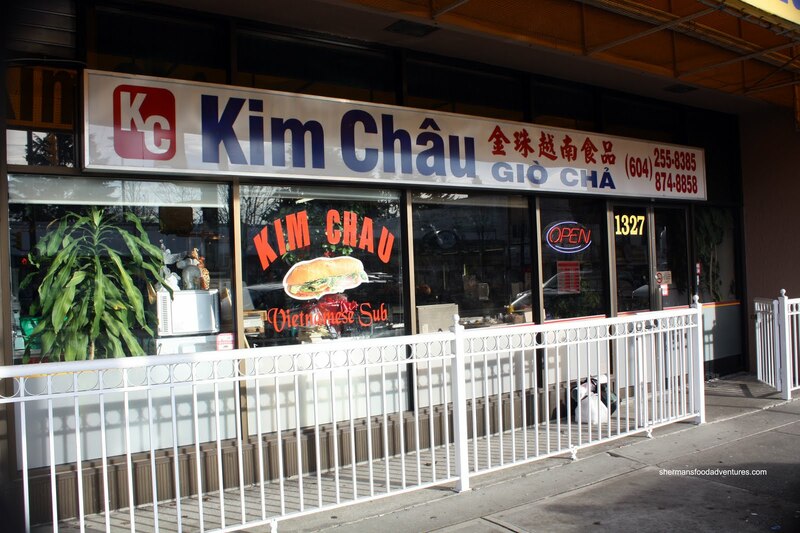 Sure, Empress is only $2.75; but it is not remotely as big as the one at Kim Chau. It is easily a third size longer than the one from Ba Le. In terms of taste, it was a bit heavy on the fish sauce. Despite this, I could still taste the ample pate and meats. The baguet te was not too dense and very crusty as a result of the "Quizno's"-type oven. Shredd ed Chicken. Not really something I'd chose for myself; yet some people don't want spicy or weird meat. As expected, it was pretty bland. The chicken was tender though and the crusty baguette was the necessary texture needed for such a texturally challenged ingredient. This time around, there was less fish sauce which made the subs less salty. Probably mother liked to load up on the fish sauce too. 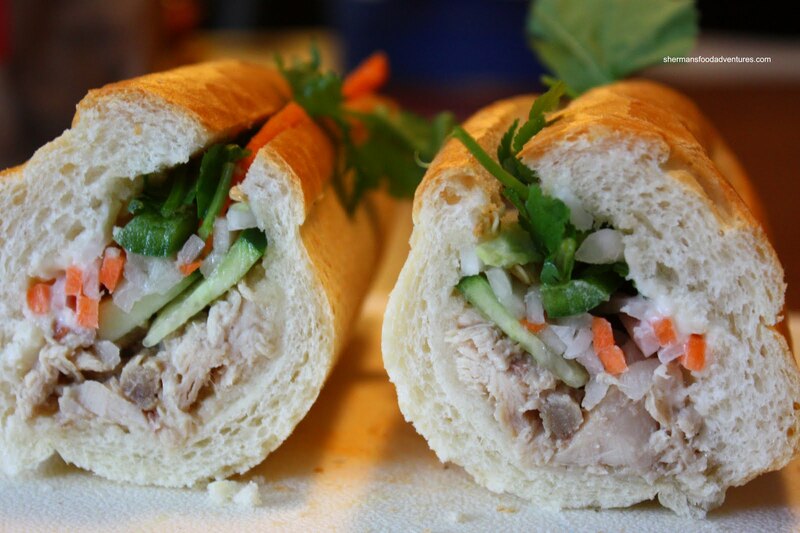 The last sub was the Marinated Pork which is actually a prepared pork product that is quite sweet. The texture reminds me of a cross between jerky and spam. I know, that doesn't sound great; but believe me, I like the slight chewiness that is still soft at the same time. Despite being predominantly sweet, the pork worked for me since it contrasts well with the fish sauce, pickled veggies and hot peppers. A nice balance of flavours if you get everything in one bite. Strange that I have never visited this place before, it has been around for 20 years! 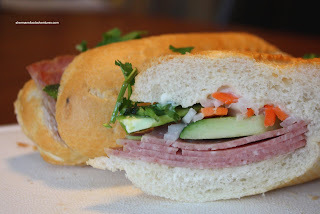 Well, I guess I'll be returning for more Banh Mi, as long as the daughter is around. This place looks good! Can't wait to try it. 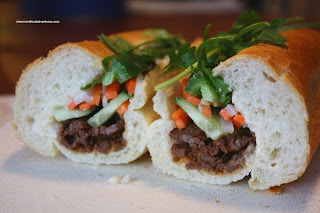 On the note of Ba Le and other known banh mi shops, I recently had a tasting of sorts by buying their specials. We found that Ba Le is now mostly size, as the flavor was absent... Oh, well, time changes? Hilarious! Them old ladies and their "attitudes", teehee. I was wondering where I can try out Vietnamese subs. Yes, Gary this place is good and a great value! Man, I hear ya, the food in the originating country usually tops everything else in terms of taste and value. Kim, I've heard the same things about Ba Le. Time for a revisit. dryfly, try this place but also everywhere else, they are all subtly different. Enjoy! Thanks for posting about this vietnamese deli. They've been around for 20 years but this was the first time I've heard about it. You can tell when you enter that this little place that it's not so little and they sell a lot of deli meats. I met the daughter, and had a great chat with her. Apparently, they supply their own home-made meats (factory downstairs) to a lot of the vietnamese restaurants and banh mi cafes, including Ba Le on Kingsway, until they decided to make their own meats and that's when their taste changed and customers decreased. I found the banh mi special to be very tasty and plan to return to try some of their other varieties like chicken and pulled pork. Oh, btw, I may have 'outed' you by telling them that I found them through you. So on your next visit, don't be surprised if they recognize you. Yup Holly, I think this is one of my favs for BM in town now. LOL, no probs, I think it's hard to hide these days! Finally hit this place up today! You are absolutely correct--definitely the best BM value! $3 for the special, which is huge and has way more ingredients and flavour vs Ba Le. I did find the bread to be just okay though. But still, a very tasty sandwich!